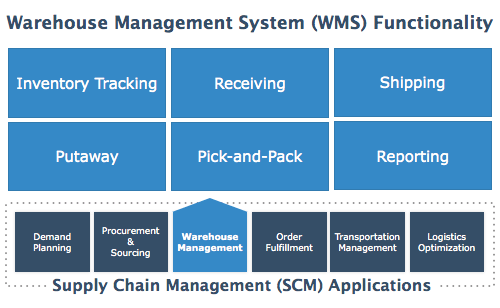 Selecting a WMS system for a small business is an important decision that should not be taken lightly. The outcome of this decision will have a direct impact on the efficiency and effectiveness of warehousing operations and the business as a whole. Selecting a system is not only a matter of efficiency and productivity, but also a matter of competing for and retaining customers. In today’s technological environment, customers expect more convenience and data sharing from their logistic service providers. On the other hand, the system should also be able to provide the management team with accurate and timely information to support the decision-making process and react on time to market changes. In this article, we will discuss specific features that a warehouse management system must have to effectively compete in the market, but also general points that must not be ignored. The goal is to implement a system that becomes an asset to the company. In today’s software environment, there is no need to get into building a warehouse management system unless your business has non-standard warehousing operations or requirements that cannot be fulfilled by a vendor. Research indicates that the cost of building a functional system ranges between $500,000 to a million dollars and the most advanced systems have consumed up to $25 million or more. But if your business has standard warehouse operations there are plenty of “Off-the-Shelf Software” ready to be deployed with minimal to no customization. A simple Google search for “Buy WMS Software” will give you plenty of options and sites to compare systems and vendors. The two most common sites to review vendors & software are: Capterra.com and Softwareadvice.com. If you’re not sure which system is best for your business, hire a consultant to help you make an informed decision. One of the most common financial challenges for small businesses is cash flow. That is why it is so important to look for a warehouse management system with a licensing model that adjusts at any given time to the financial needs of the company. A flexible pricing model is one that charges based on either transaction, per user, or system functionality and does not requires any form of contractual agreement. 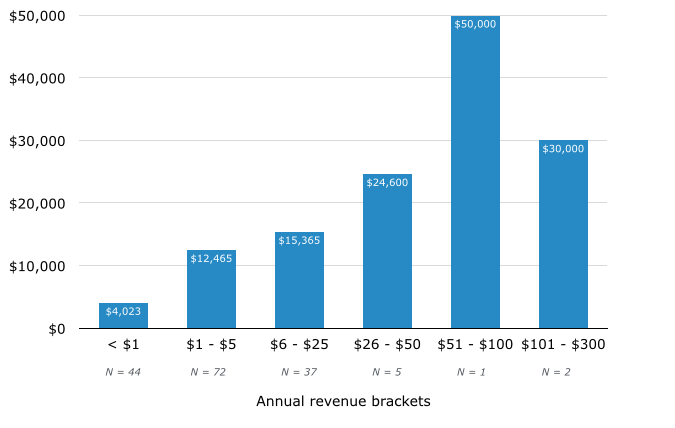 It is very important to carefully analyze each vendor independently as some vendors mitigate the risk of potential revenue lost by either locking the customer in a contract or charging nickels and dimes for every functionality in the system. Avoid these vendors at all costs. The name of the game here is cost elasticity in the pricing model, not being locked in a contract, and being able to pay on a monthly basis for the things that you need and use. Small businesses should focus on acquiring and retaining customers, not spending significant amounts of money and time implementing and maintaining a WMS system. As shown by softwareadvice.com the implementation of a system can range between $4,023 and $50,000. With the advent of cloud computing and third party technology providers, small organizations should consider a cloud-based solution and leave the management & maintenance of the system to the experts. Take advantage of SaaS (Software-as-a-Service) WMS solution hosted in the cloud. These solutions don’t require implementation or hardware investment and can be accessed from any place that has an internet connection. Because you still need reliable internet & network connections, it’s important to setup a network and internet infrastructure that is reliable. You want to make sure that you have some form of network failover or redundancy, so if one network device (or the internet) fails, your business is not affected or at least the downtime is minimal. 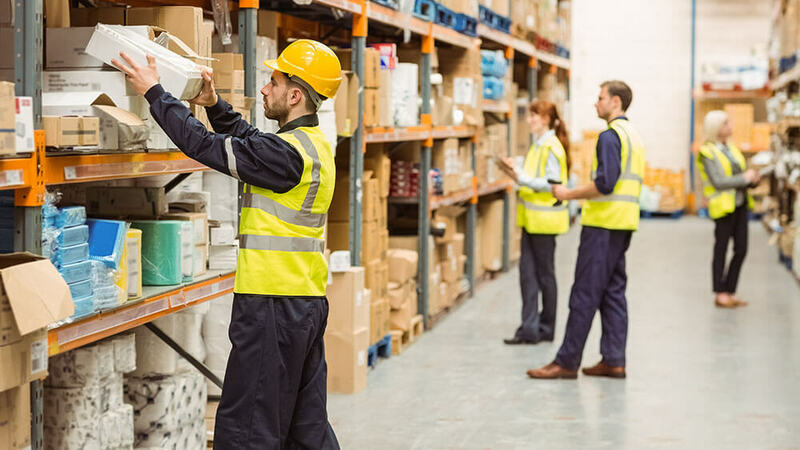 At the very least, a warehouse management system must support the most basic warehousing processes such as: Receiving, Put-away, Pick-and-Pack, Inventory Tracking, Shipping & Reporting. The system must offer technologies to make these processes efficient and help reduce the likelihood of errors. Receiving: From a receiving perspective, the system must be able to log any cargo received in the warehouse and generate a warehouse receipt & proper label(s). Put-away: The system must be able to guide the warehouse clerk to the right location to store the cargo. Pick-and-Pack: In this case the company needs to evaluate which kind of picking process it uses the most (full pallet picking, batch picking, carrier picking, etc.) and find a system that supports it. Inventory Tracking: The most basic system must offer the ability to effectively track inventory in the warehouse. Shipping: From a shipping perspective, the system at the very least must be able to generate itemized bills of landing, packing lists & invoices. Reporting: Reporting capabilities are a must have for any system, but the type of reports required depends on the business itself. In general, the system must be able to report at least: inventory, inbound & outbound efficiency, and labor costs. Many small and mid-size warehouses have adopted many of the following technologies, but a lot others haven't. These technologies must not be ignored or left out when deciding on a warehouse management system. If a system doesn’t support them, then most likely this is not the best solution for your business. The following solutions have become the very basic standard solutions used to increase warehousing operational efficiency and reduce errors. Barcode Scanners. Critical in automating the data collection process during the receiving, put-away, pick/packing, shipping and inventory process. Barcode scanners are also critical in reducing data entry errors. Barcode Label Printer. Labeling in a way is the backbone of the supply chain industry. Barcode label printers complement barcode scanners in data collection across most processes in the warehouse. Reliable Database. These systems collect and retrieve fairly large amounts of data. As a result, this data must be stored not in folders and files, but in a database. Now there are multiple different types of databases. Make sure the system you are considering runs on a reliable, industry standard database. Examples of reliable, standard databases include: Microsoft SQL & MySQL. Application Program Interface (API). We previously talked about how customers are increasingly expecting to exchange information more efficiently and effectively with their logistic providers – APIs are critical here. They provide a gateway for systems to connect/integrate and exchange information with each other without human intervention. You now have the information you need to help you position your small business to compete and scale effectively in the future. Remember, get an Off-the-Shelf Software solution with a flexible pricing model, and preferably one that runs from the cloud – even better if it’s a web-based system (can run from a web browser like Internet Explorer, Google Chrome, or Safari). Also, do not forget to check that the system supports your core warehousing operations and has the basic technological capabilities to help you compete in the marketplace. As always, if there is anything else that you would like to know about this topic or if you need some help do not hesitate in contacting us. Was this post helpful? Feel free to post comments, questions, or topics that you would like us to discuss in the comments section below. Or send them to us on Twitter and Facebook.